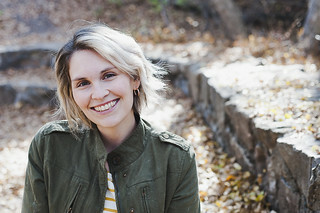 So glad Fawn and I were able to meet'up with Anna and Dillon a few weeks ago, the weather is not pleasant at the moment but it was a gorgeous day when we did these pictures! 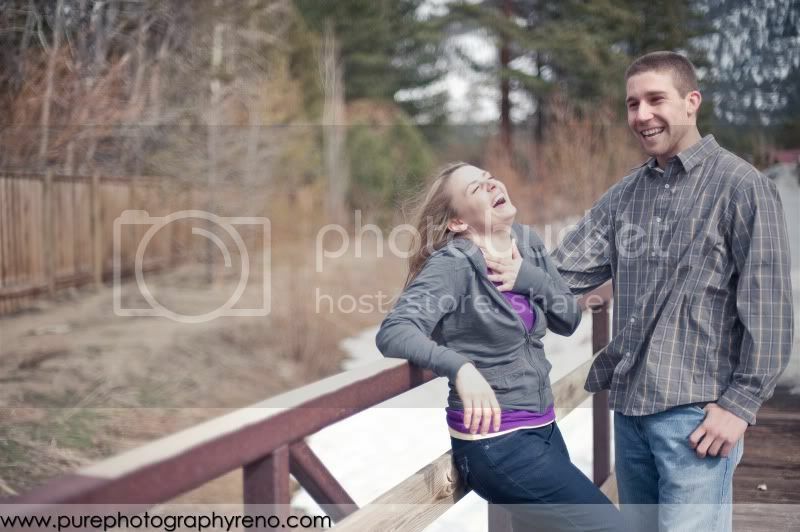 We had so much fun walking along the beaches of South Lake Tahoe chatting and laughing, lots of laughing actually! 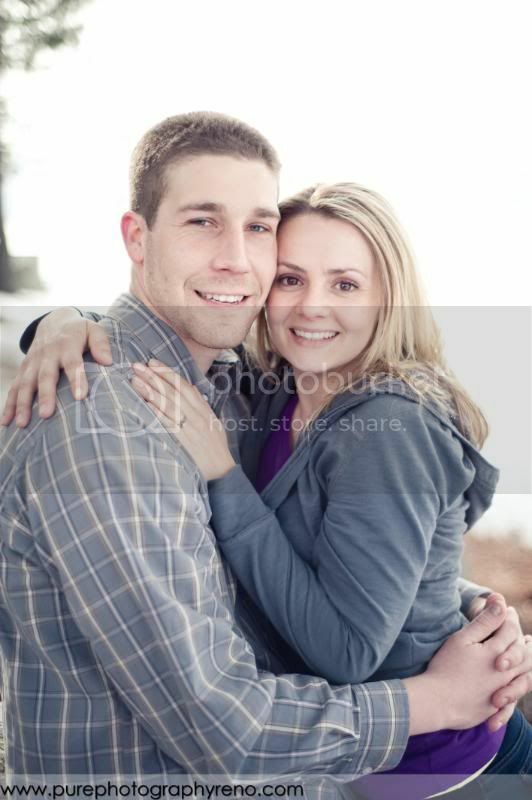 Can't wait for their wedding this summer!! 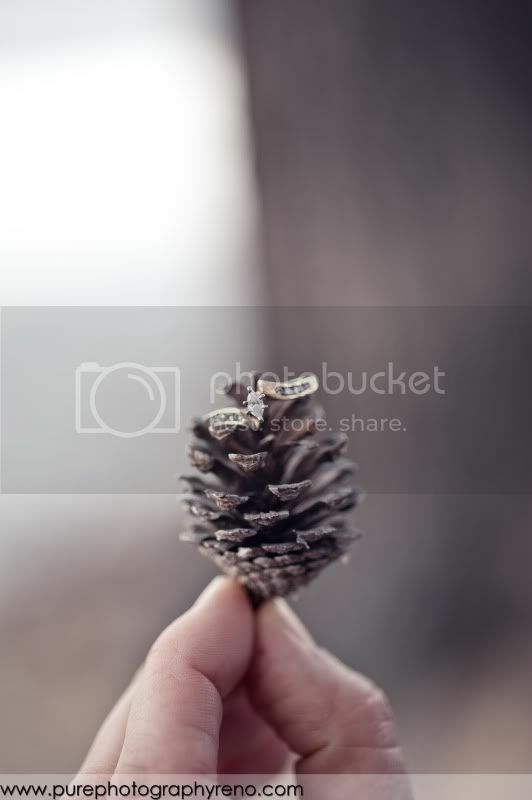 Pine cones are playing a big roll in the style and decor of their wedding so I snapped this picture of Anna's gorgeous ring on a baby pine cone she had picked up as a keepsake!